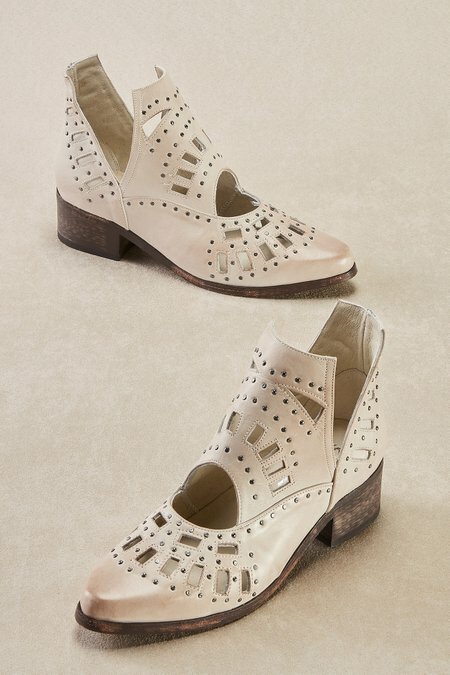 These creative booties emphasize artful design, expressed through a cut-out top, perforations, metallic studs and woven detail. Handcrafted in superb, distressed Mexican leather, with stack heel, almond toe, leather lining and sole. 1-3/4" heel.